Resolution has elements of terror, but is hardly a horror film. If anything, it fits more in the small sub-genre of independent time-travel science-fiction horror. Even without having elements of time travel, it is Timecrimes, Triangle, and Primer that this film most resembles. Rather than providing thrills which fall apart upon further examination, as most spectacle-filled horror films excel at doing, Resolution is a slow-moving film filled with occasional eerie sequences between extended scenes of naturalistic dialogue between two characters in a cabin. When Mike (Peter Cilella) receives a mysterious video via email from his meth-addicted friend, Chris (Vinny Curran), he plans a forced rehabilitation. Mike finds Chris squatting in a cabin on the edge of an Indian reservation, forcing him to quit cold turkey. There are many obstacles from Chris’s druggie lifestyle which Mike is forced to handle, including money debts and permission to stay in the cabin for a limited amount of time. There are also many reasons to leave the cabin as quickly as possible, including mysterious pictures and videos of tragic death stories left in and around the cabin for Mike to discover. There is something unique about the cabin which is as much a mystery to the audience as it is the two men residing within its walls. There are many unique problems with Static, Todd Levin’s directorial debut, but all of its assets are borrowed from better films. 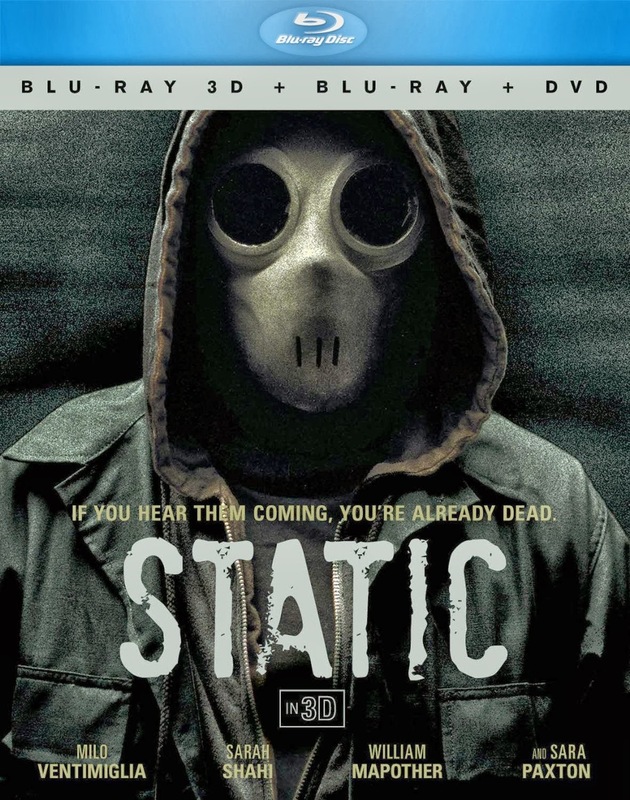 The premise is similar to The Strangers or The Stranger Within, with a young girl (Sara Paxton) appearing at the door of a troubled couple late at night, and all hell erupts from her visit. If only it were enough to take the best from better films, but it doesn’t outweigh the amount of originally poor decisions made in Static. The most difficult aspect is the weighty storyline of grieving parents at the center of a genre film. Jonathan Dade (Milo Ventimiglia) is a famed author grieving the loss of his son with his wife, Addie (Sarah Shahi), giving us protagonists who seem to have come from a Stephen King novel. The mysterious girl’s intentions quickly come into question, and then become irrelevant as all three are attacked by a group of men wearing masks. Even locked in their own home they aren’t safe from the faceless attackers with unknown motivation. When all is finally revealed, it resembles a number of other films with cliché twist endings. Perhaps if this film had done it first we may have been impressed, but now it just feels like lazy filmmaking. The Brat Pack seems to have finally grown up and stopped all of the self-obsessed whining. Although About Last Night is not about completely wise, mature, or grown up adults, they are at least heading in the right direction. We see them growing through the course of the plot, which surprisingly dead-on in the honest portrayal of adjustments needed for any new relationship. 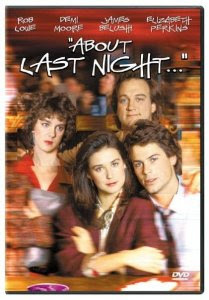 The film even takes into consideration the strain that comes with the relationship from the view of the friends, based on a similarly smart stage play written by David Mamet. Although Mamet did not write the screenplay for the film (instead adapted by Tim Kazurinsky and Denise DeClue), there remains the biting humor from the play, as well as James Belushi who played the same role in the film as on stage. The film revolves around an impulsive sexual relationship that turns into a committed relationship; and all of the pitfalls and dangers that come with the territory. Danny Martin (Rob Lowe) and Debbie (Demi Moore) meet at a park softball game, and when they see each other at a bar later the same night, they end up sleeping together. After that they only have getting to know each other left, and begin spending inordinate amounts of time together, as is common at the beginning of a relationship. The buddy action comedies of recent years have far more comedy than action, but that may be the saving grace for an otherwise unbelievable film like The Heat. As entertaining as the premise of Sandra Bullock and Melissa McCarthy as law enforcement officers is, neither one are very believable when it comes to the physical aspects of the role. The action serves as a catalyst for further jokes rather than taking on their own spectacle, and that allows for the film to retain focus. There have been many attempts at finding the right leading role for McCarthy after her breakout performance in Bridemaids, but this is the first part that truly seems to fit. Working again with director Paul Feig, McCarthy is joined by Sandra Bullock, who also plays into her persona for the role of a prissy and uptight F.B.I. agent. Special Agent Sarah Ashburn is accustomed to being the smartest one in the room, which is precisely why none of her colleagues want to work with her. In an effort to prove that she can be a team player, Agent Ashburn is forced to partner up with a local cop while on assignment in Boston. Shannon Mullins (McCarthy) also works alone, though it is because her co-workers are frightened of her. Both have the ability to take down criminals and do so without any partnership with their male colleagues, but their similarities stop there. Their partnership is The Odd Couple of law enforcement, and a surprising majority of the film is just dialogue between these opposing characters as they wait in-between brief spurts of unconventional crime fighting. 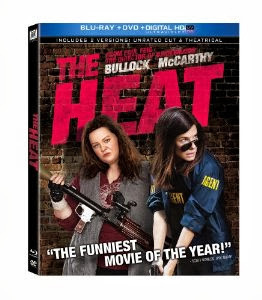 The Blu-ray combo release of The Heat includes the theatrical version of the film, as well as an unrated cut. 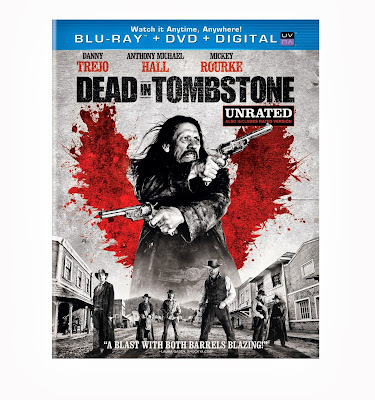 With a Blu-ray disc, a DVD and a digital copy, there are also many ways of watching this film. There are also plenty of special features, with a remarkable five commentary tracks for the film, including Paul Feig and Mystery Science Theater 3000. There are also a few featurettes, and a plethora of additional footage, from deleted scenes and alternate takes to bloopers. Drug War blew me away. There has been an influx in action films in Hollywood these past years, with a return to the brawn of the 1980s and many of its stars. Mass and size has taken over, with veteran and new stars of unnatural proportions and large caliber weaponry to accessorize with. These spectacle-inducing films of indulgence have their place in the world of entertainment, but occasionally I enjoy using my brain while watching action and Drug War had me captivated the entire run time. Not knowing what is going to happen next in a film is a rare experience, but I was sincerely surprised by each direction this film took. The balance of intelligent filmmaking and indulgent action makes for a brilliant crime film unlike anything I have seen in quite some time. 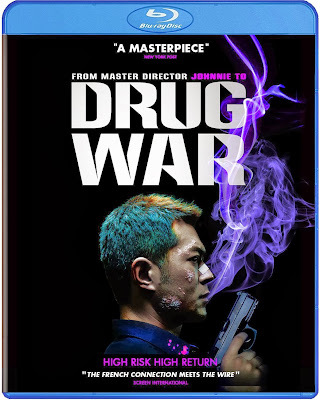 Crime and underworld films are familiar territory for director Johnnie To (Election, Exiled), but it is the simplicity of the narrative which sets Drug War apart from some of his other great films. The film begins with two opposing characters who will spend a majority of the film with each other, after the initial tragic events take place. 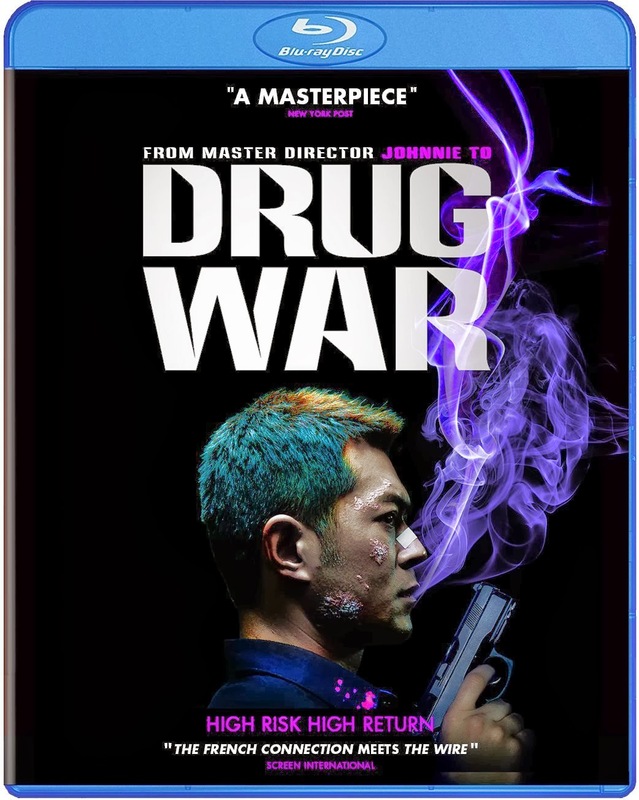 Timmy Choi (Louis Koo) is a high-level producer of methamphetamine, which is an automatic death sentence in China. In order to find a way to survive after being arrested, Choi quickly turns on his criminal cohorts and becomes an asset to Captain Zhang (Sun Honglei). In the 72 hours following his capture, Choi does anything he can to ensure self preservation. Franck Khalfoun’s Maniac stays true to the narrative of the original 1980 cult horror film which it is remaking, but I’m not certain that this was a selling point for me. 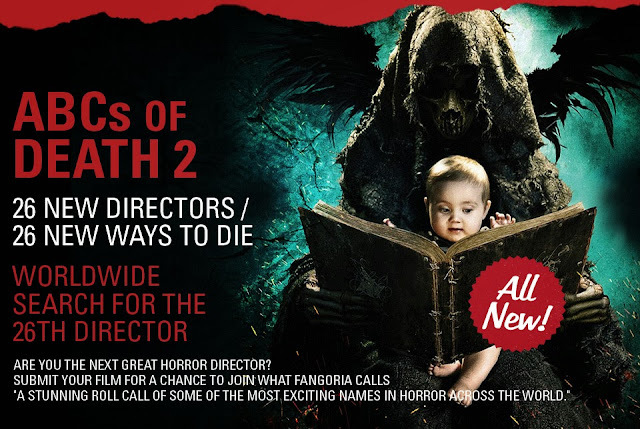 The original had the make-up guru Tom Savini attached as both performer and creator of the more convincingly bloody aspects of the film, but it was still a movie many called depraved rather than a classic. Roger Ebert walked out of a screening after one of the more infamously graphic sequences. Just the same, I will review this remake as a stand-alone film. 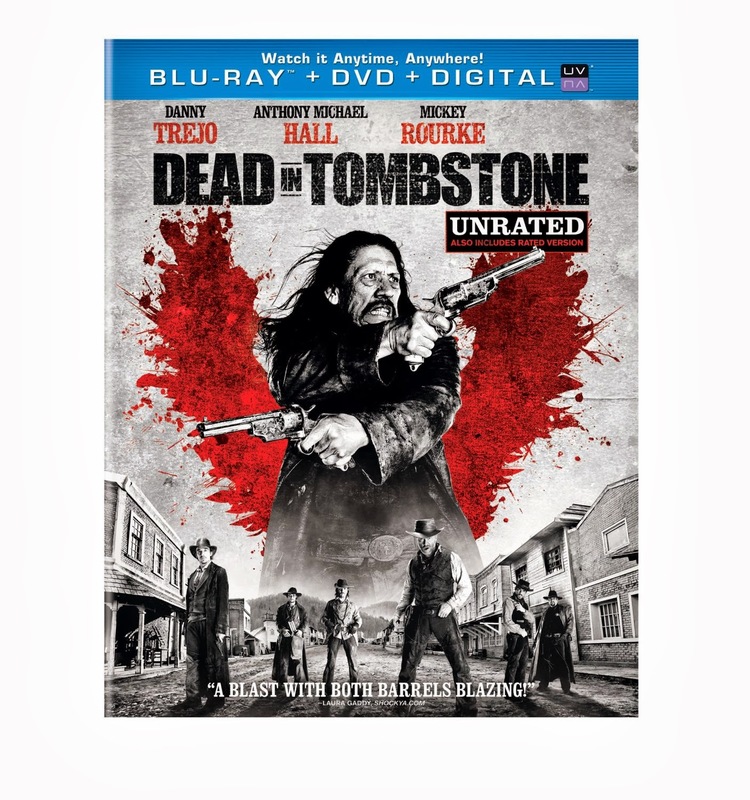 This also does not ensure any positive feedback, however, but not because of the film’s graphic nature. Violence is entirely acceptable tool if it has a purpose or some kind of statement, but it seems a pointless venture in stylistic violence in Franck Khalfoun’s Maniac. Shot almost entirely from the point-of-view of the killer, a pathetic mannequin restorer named Frank (Elijah Wood), Maniac forces the audience to participate in the murders. In my review of the anniversary Halloween Blu-ray release, I discuss the brilliant use of POV to force the audience's participation in the film’s opening murder. Maniac over-uses this effect, essentially allowing for Wood to spend a minimized amount of time onscreen despite constant voice-over, but the biggest issue is the contradictory effect it seems to have on the narrative. We are placed in his point-of-view to see what the killer is seeing, but the narrative never allows for an understanding of his motivations. The camera may be in the place of Frank’s eyes, but the audience is never allowed into his head. Free Samples is everything you would have expected from an independent film in the 90s; it has over-written dialogue with amateur acting and limited locations. There are a few bright spots in the film, mostly coming from more experienced actors who briefly appear to show how the contrived dialogue can be convincingly spoken. 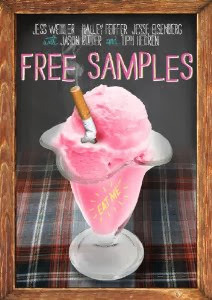 Perhaps I am being too harsh, because aside from the plot, the dialogue, the main character and the leading actress, Free Samples isn’t a terrible film. The glaring issue I had with this film was a completely unlikable protagonist. Jillian (Jess Weixler) is a law school dropout who moved to Los Angeles to drink heavily every night and sleep with random men in frequent succession. This is clearly due to an event which will inevitably be revealed in contrived emotional monologue, but by the time we find out it is too little and too late to make up for such an acidic personality. She is not only a drunken mess, but also condescendingly talks down to everybody she meets, which is not enjoyable in a film where that is essentially all the plot has her doing. As much as I love film, there are some experiences which are not the same when they aren’t experienced live. I don’t care how clear high definition gets or how realistic 3D becomes, stage performances are best seen in person. No Cirque Du Soleil film has ever compared to a live performance, regardless of how impressive the feats, and Broadway musicals are somehow even more unimpressive. Shrek the Musical is no exception, though it is a musical where it may matter less because of the younger target audience. 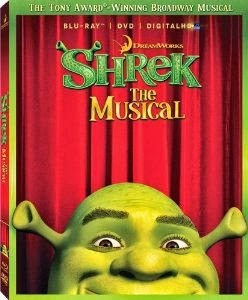 Personally, I would much rather watch the cartoon film than this musical. There are seventeen all-new songs, but most of them were forgettable and somewhat sloppily written. I know that I am speaking poorly of a Tony Award-winning musical, but it simply wasn’t the type of play that I would choose to go see. I found it distracting when the actors sounded so different than their film counterparts, and that is the danger of adapting something so familiar.